There goes a saying that Maharaja Baidyanath Bhanj had been to Puri to have a Darshan of Lord Jagannath. Failing to offer the demanded gold coins, the king was denied to have a ‘Darshan’. Another version to the legend goes like this- When the Maharaja went to Puri in royal splendour with the accompaniment of ‘CHHATRO’ and ‘CHAMORO’ the Gajapati of Puri refused permission as it was display of higher status que over the ‘Thakur Raja of Puri’. The prevailing custom then was that the devotees to Puri will come as common man without showing of any supremacy over the Gajapati ‘who is Chalanti Vishnu Designate’. The Maharaja went in penance near the Atharnala, outskirt of Puri. In a dream he was ordered by Lord Jagannath to construct a temple in Baripada so that he would come down to aasuage his devotee. Showing deference to wishes of Lord Jagannath he got constructed the majestic temple at Baripada. 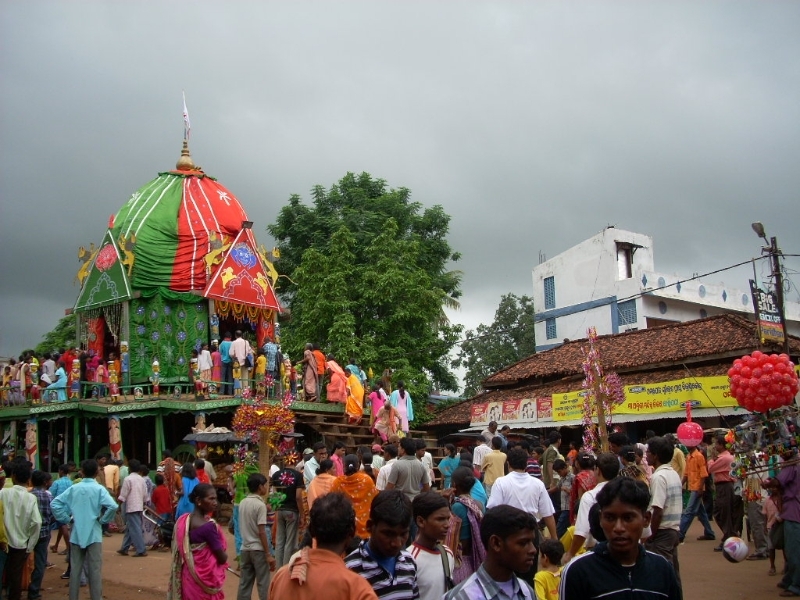 Like Puri, all the rituals for Lord Jagannath, Lord Balabhadra and Devi Suvadra are perfomed here at Baripada. The Bhanja Rulers, whose royal patronage in the field of architecture was at par excellence, would be remembered for their magnificent offering to Lord Jagannath in getting built the Jagannath temple prototype of Puri. It is made of laterite stone with exquisite designs engraved in the walls. It has height of 84′-6″. A big boundary wall encirles the temple which is a replica of that of Lord Jagannath at Puri. An inscription on the temple wall states that in the year 1497 of the Saka Era this temple was built by Baidyanath Bhanj. This temple, like the Kakharua Baidyanath of Manatri is provided with Vimana, Jagamohan and Nata Mandira and is in a better preserved condition than the later. Besides the presiding deities, there are as many as seventeen Bedha deities consecrated in the temple. 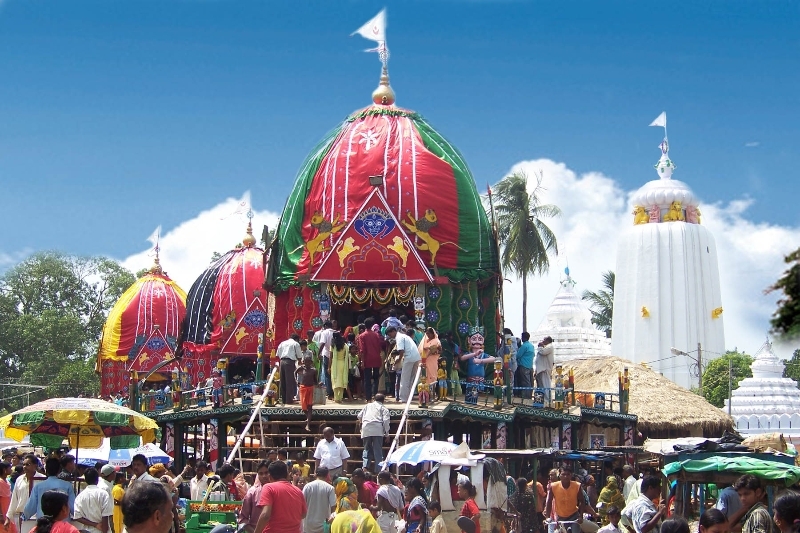 The Jagannath temple compound is provided with small cells in which the images of different religions find place. Among them may be seen beautiful images of Avalokiteswar Paraswanath and Umamaheswar. At the inner gate of this temple are found images of Jain Tirthankaras, Rishabhanath, Paraswanath and Mahavir beautifully carved out in black chlorite stone.There are various other pillars, images and structures both in front of the presiding deity and on the body of the temple. 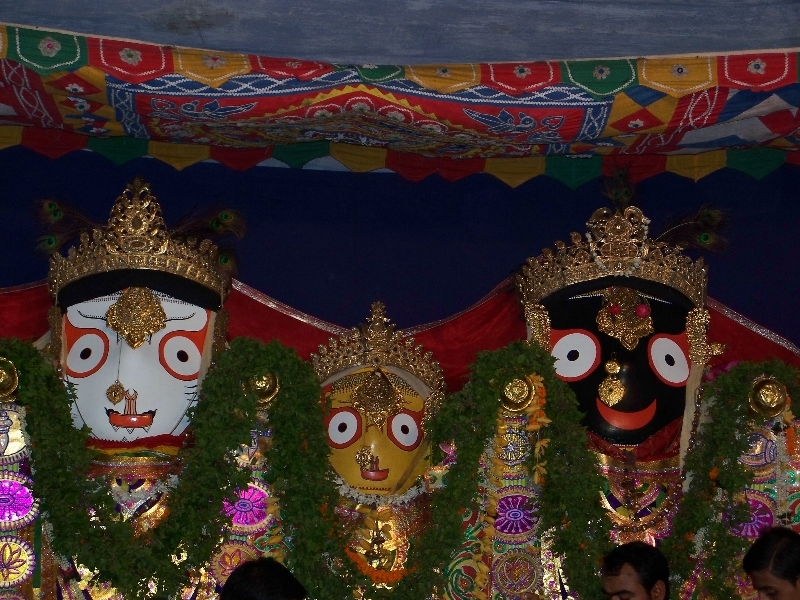 The walls of the Nata Mandira of Jagannath temple are decorated with pictures of mythological significance. 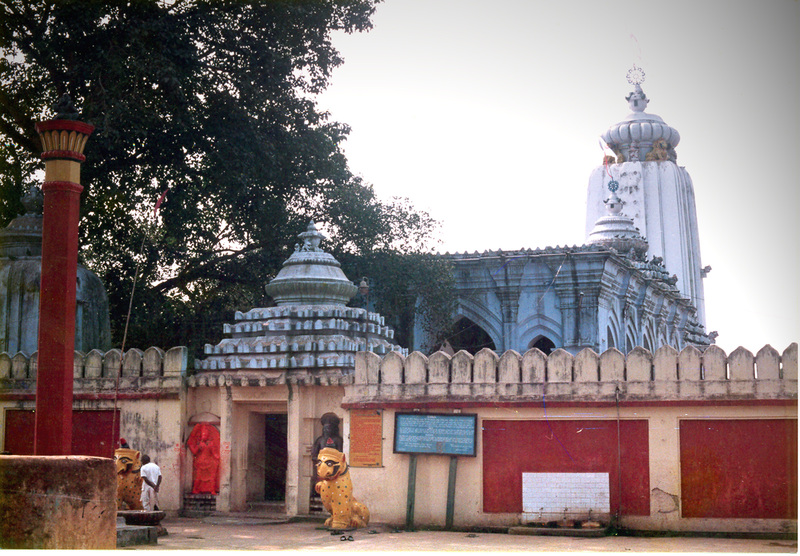 The Radhamohan temple at Baripada serves as Gundicha Mandir (MausiMaa Mandir) of Lord Jagannath. 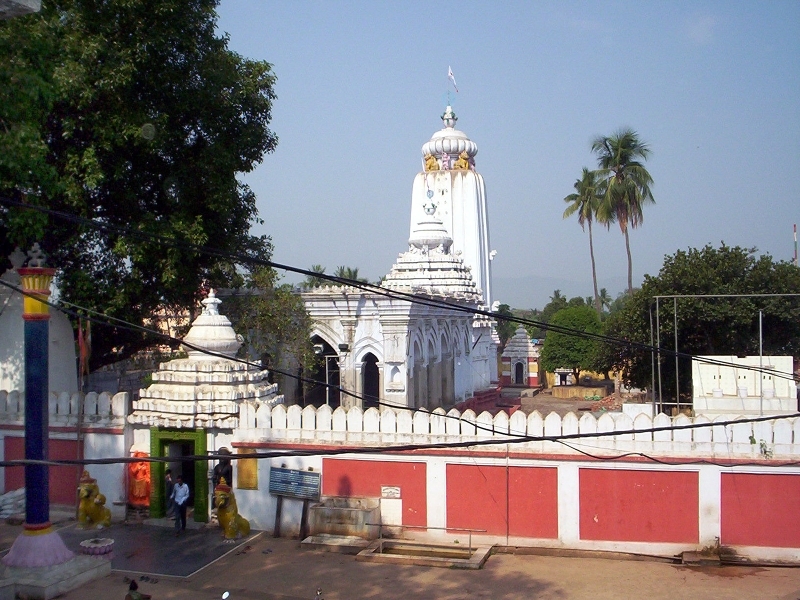 This temple along with Rasika Raya repesents the cult of Neo-Vaishanavism which was popular in Orissa before Sri Chaitanya. This temple is provided with Nata Mandira and is beautifully painted inside as well as outside. The paintings in some of the nitches and on the inner walls can be seen even now.